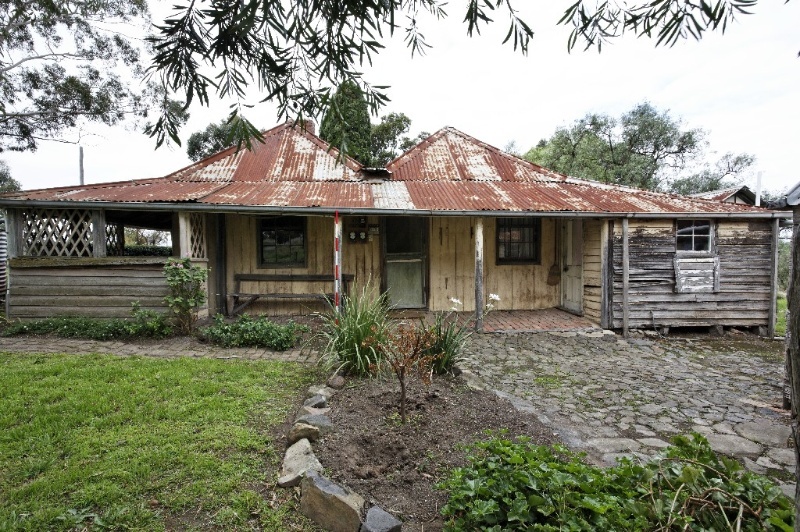 Fashoda is a former farming property in the Plenty Valley about 30 km north of Melbourne which retains a vernacular timber farmhouse with a detached kitchen, probably built in the mid to late 1850s. The land on which Fashoda is located was part of a 640 acre lot first purchased in 1851 by the politician and land speculator Henry 'Money' Miller. In the following year it was sold and subdivided as the Township of Separation, little evidence of which survives. The ownership of the site of Fashoda during the 1850s is uncertain, but it was purchased in 1859 by Alfred Hibberd, in 1861 by Jane Ewing (later Hardesty), and following her death in 1897 it remained in her family until 1973. There is no documentary evidence for the date of construction of the buildings, but on the basis of the construction methods and materials the building to the west of the house is thought to have been built c1855. It was likely to have been used for accommodation until the house was built a few years later and after that used as a kitchen. The property was probably used mainly for dairying in the nineteenth century, and was still used for that purpose until the late twentieth century. The name Fashoda, which was first noted in 1929, derives from an incident involving British and French troops which occurred in 1898 at a place of that name on the Nile River in Egypt. Fashoda was once a complex of timber farm buildings, but all that now remains is the house, the detached kitchen, a small dairy building to the south and the remains of a cow shed, located in a garden setting with mature trees. The house has an M-shaped roof with a surrounding integrated verandah, with roofs of corrugated iron over split timber palings. The house is clad with vertical tongue and groove lining boards, which is extremely rare, and being softwood the timber would have been imported. 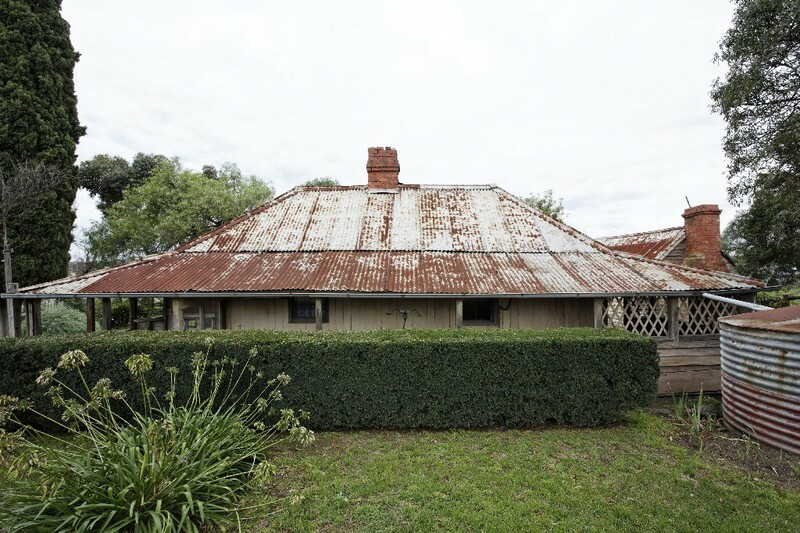 The original house had four rooms, but several rooms have been added along the south side and parts of the verandah on the north side were enclosed in the twentieth century using tree stumps and split weatherboards. 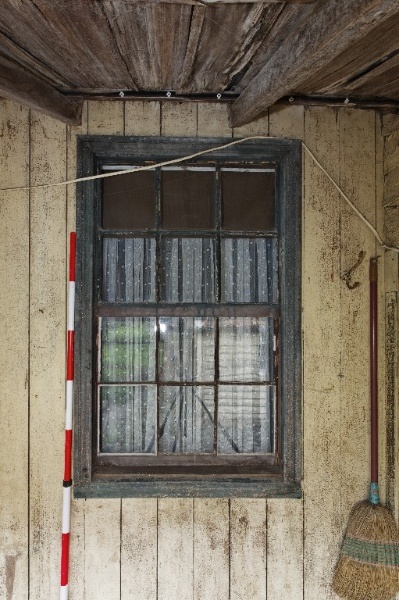 Many of the windows are twelve-pane double hung sashes which slide within the wall. Internally the original layout has been largely retained. The detached kitchen is to the west of the house, with the ground between paved with bluestone rubble. 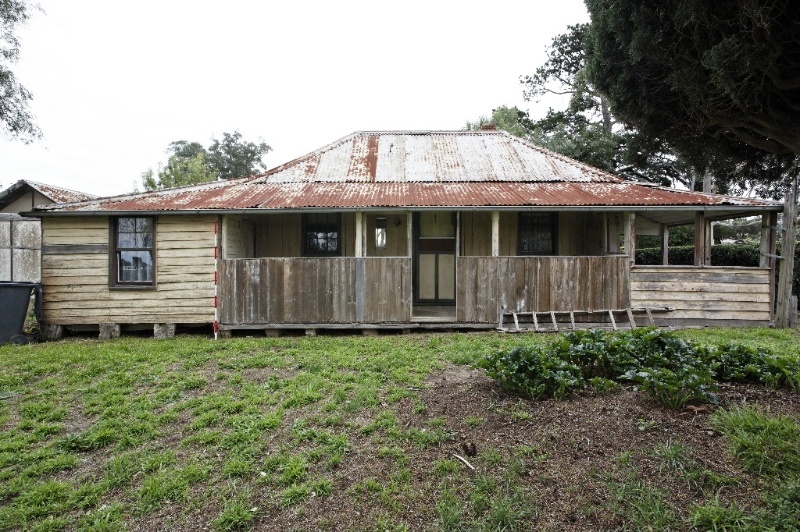 It has a steeply sloping gabled roof of corrugated iron over palings, partly supported by large unshaped morticed tree trunk posts, and the walls are clad with weatherboards, which are split rather than sawn on the end walls. It now has only one room but was originally divided into two: the north room with a brick double sided chimney, a floor of thick timber boards laid almost on the ground and a timber-lined ceiling which follows the roof line up to the purlins; and the south room is more roughly finished with a brick floor, no ceiling and the split palings visible beneath the iron roof. To the south of these buildings are a fibro-clad gabled dairy shed, probably dating from the 1930s-1940s, the remains of a cow shed and two underground tanks or cisterns of an unknown date. Fashoda is of architectural, historical and archaeological significance to the state of Victoria. Fashoda is architecturally significant as a rare surviving example of a mid nineteenth century farmhouse with a detached kitchen. The buildings demonstrate contemporary vernacular timber construction materials and methods. 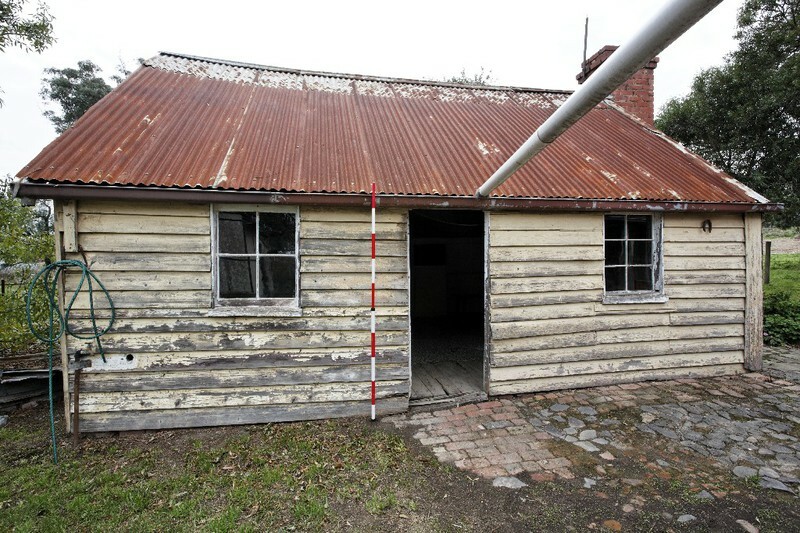 Some primitive aspects of the kitchen building, including the large unshaped tree trunk posts and use of split weatherboards, suggests that it may have been built as early as c1855, and the house is likely to have been built by 1860. The vertical boarding using imported softwood on the exterior of the house is extremely rare. 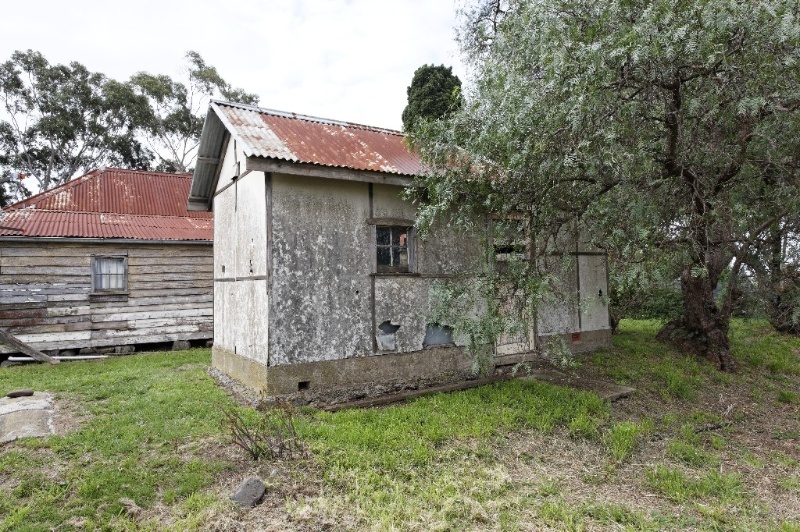 Fashoda is historically significant for its association with the small farming settlements which were established from the earliest days of settlement in the Plenty Valley north of Melbourne, among the first of the Port Phillip districts to be settled. The land in this area, being close both to Melbourne and the Sydney Road, was some of the first outside Melbourne to be closely subdivided and sold, and by the 1850s had become a major food-producing area and was used for farming, particularly for dairying, up to the late twentieth century. Although the exact date of construction is uncertain Fashoda is one of the oldest remaining homesteads in the area, and demonstrates the way of life in these farming communities during the nineteenth century and much of the twentieth century. The detached kitchen is historically significant as a rare surviving example of its kind. Detached kitchens were common in nineteenth century houses as a means of minimising the risk of fire, keeping the house cool, and in houses where servants were employed were a means of separating them from the family. Fashoda is archaeologically significant for its potential to yield further information from the excavation of the remains of the farm buildings and the rubbish pits located around the house about the way of life of its early inhabitants. As Executive Director for the purpose of the Heritage Act 1995, I give notice under section 46 that the Victorian Heritage Register is amended by including Heritage Register Number 2312 in the category described as Heritage Place and Archaeological Place. 1. All of the land marked L1 on Diagram 2312 held by the Executive Director, being part of the land described in Title Plan 759223H and part of Lot 1 on Title Plan 872513. The area to the north of Melbourne was one of the earliest parts of Victoria to be settled. 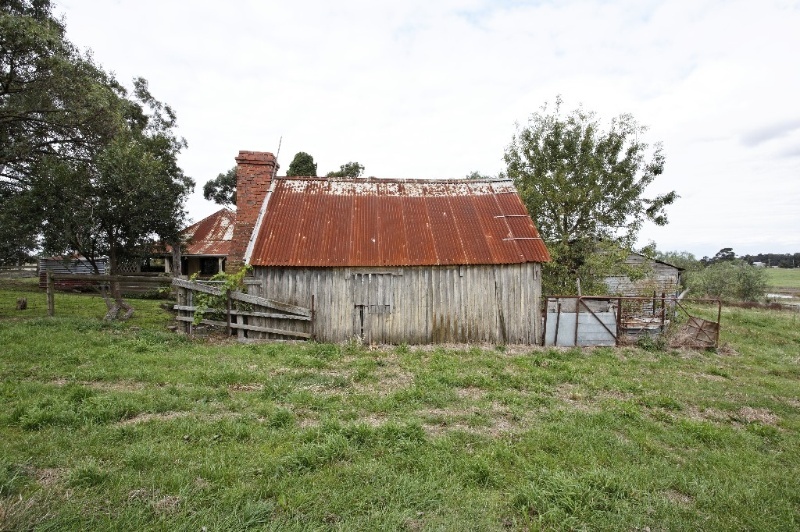 It was at first used mainly by pastoralist squatters, but was subdivided early in Victoria's history due to its proximity both to Melbourne and to the Sydney Road. A number of subdivisions and associated townships were planned, many of which have now disappeared. By the mid-1840s most of the land to the west of the Plenty River was in private ownership, often of absentee landlords, who leased it to tenant farmers, who usually practised cultivation or dairying. The years following the gold rushes and up to the mid-1870s were relatively prosperous. For the greater part of its history the district maintained a predominantly rural character, but following World War II the area has become increasingly urban. Some dairying was carried out in the area from the 1840s, but it became a major industry following the establishment of the railway in the late 1880s. 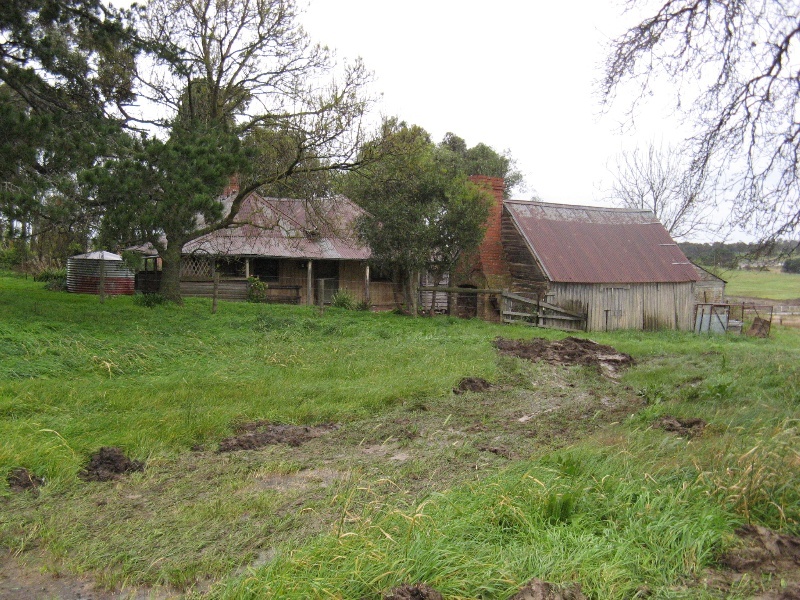 Although the land in the Whittlesea area was considered poor for crops, it was well-suited to dairying. By 1873 the largest dairy farm in the colony, 2500 acres with 320 cows, was operating in the area. Produce was transported to Melbourne at first by horse and cart along the Epping Road, and from the late 1880s by rail. The land on which Fashoda now lies was part of a 640 acre lot first purchased in June 1851 by the politician and land speculator Henry 'Money' Miller. In 1852 the land was sold to Josiah Holloway who subdivided it into acre lots on a grid pattern, featuring a small town square associated with the 'Township of Separation'. By 1865 Separation had 65 houses, a Methodist Church and a local school, which operated from the church building. However the land was poorly drained, rocky and unsuitable for crops; five years later the town was in decline, and the school closed in 1882. Only a few houses remain today. 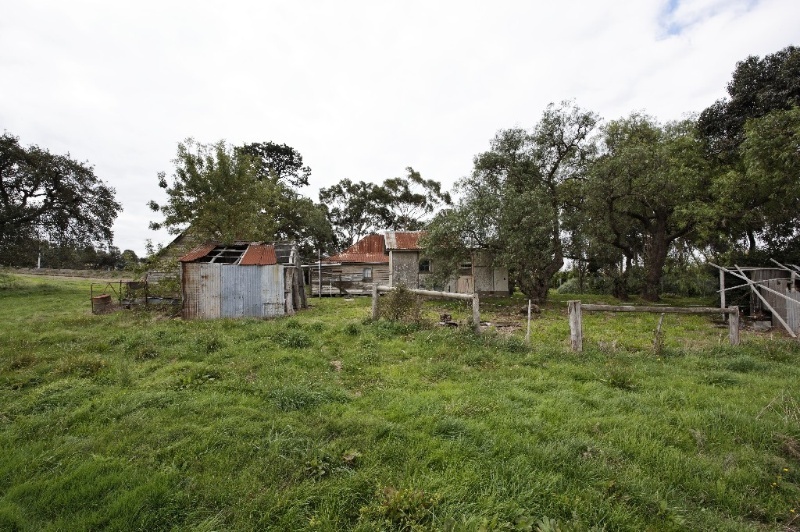 According to the 1991 Whittlesea Heritage Study by Meredith Gould, Fashoda is on what was lot 115 of the Separation subdivision, which was sold to James Somerville, then to Jesse Geard, then to John Hurrey, who subdivided it an sold part in 1854. However according to the 2011 Context Conservation Manangement Plan, the Fashoda homestead appears to occupy Lot 116 of the township of Separation. Lots 116-123 and 160-61 were purchased in 1859 by Alfred Hibberd, and in May 1861 by Jane Ewing, who married William Hardesty in the same year. 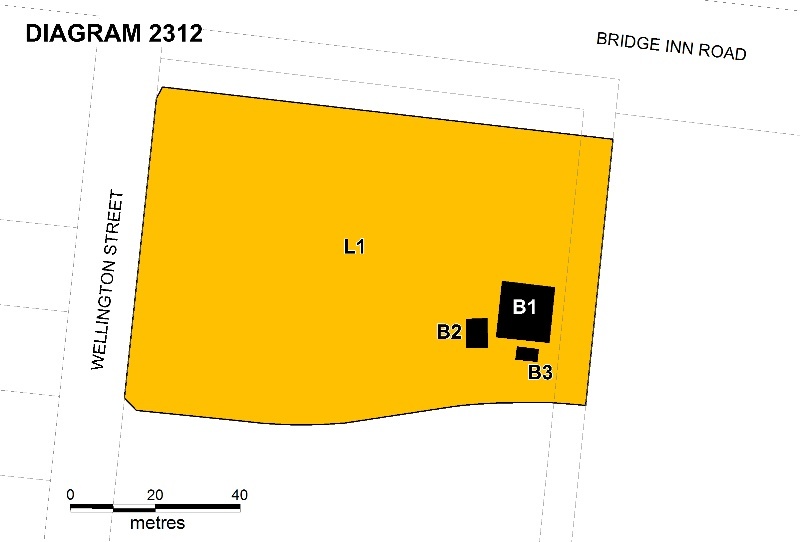 While the exact location of Fashoda on the Separation subdivision may appear to differ according to these two sources, it appears that the Fashoda buildings may be on what was Lot 116, separated from what is now Bridge Inn Road (named as Victoria Street on the Separation plan) by Lot 115 to the north. 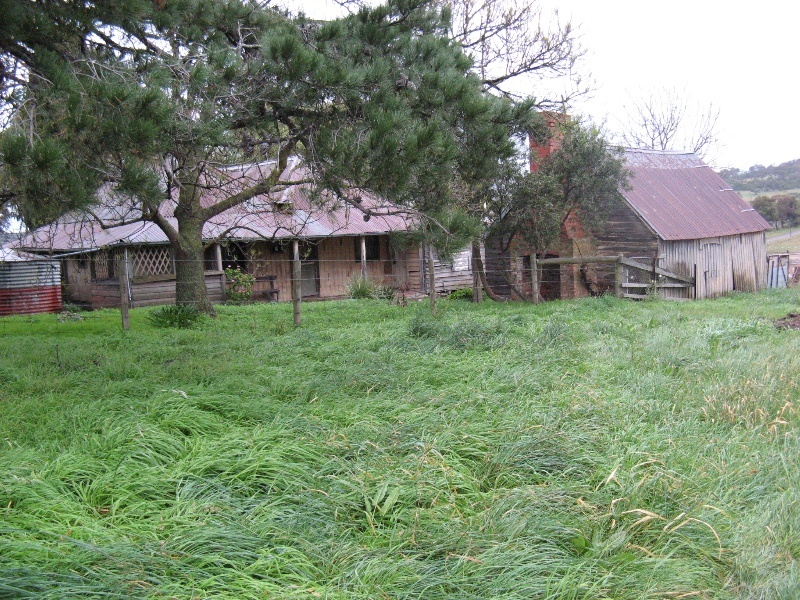 The original farm associated with Fashoda would appear to have occupied Lots 116-123 purchased by Hibberd in 1859, but their ownership prior to that appears to be uncertain, and it is also uncertain exactly when the existing buildings were constructed, and while there is no documentary evidence for the construction date of the house evidence form the fabric of the buildings indicate they they were built at about this time. William Hardesty was a prominent land owner in the area who took an active interest in local affairs. He donated land for the Mernda Rechabite Hall and 'took a lively interest' in the Mechanics Institute. William and Jane's occupations are described in the 1903 electoral roll for the division of Mernda as 'a gentleman of 'independent means' and 'home duties'. In October 1897 the Fashoda land, then valued at £200, was transferred by deed of gift to Jane's daughter Margaret Whitta (nee Hardesty). The name Fashoda first appeared in a 1929 codicil to Margaret's 1915 will, giving her daughter Margaret Taylor an option to take the property of about 10 acres known as 'Fashoda' as part of her share of her mother's estate. The origin of the name is unknown but is possibly derived from the 'Fashoda incident', which took place at Fashoda on the White Nile in Sudan in 1898, when the French attempted to force Britain out of Egypt. Margaret Taylor owned Fashoda from 1930 until her death in 1970. It was purchased in 1973 by the Heddle family. When purchased by the Heddle family it was already being used for dairying, and so must have been a dairy under its previous owners the Taylors, and possibly also under the Whittas in the early twentieth century. There is no direct documentary evidence that Fashoda was used as a dairy farm in the nineteenth century, but given the area's widespread use for dairying at that time this would not be unusual. 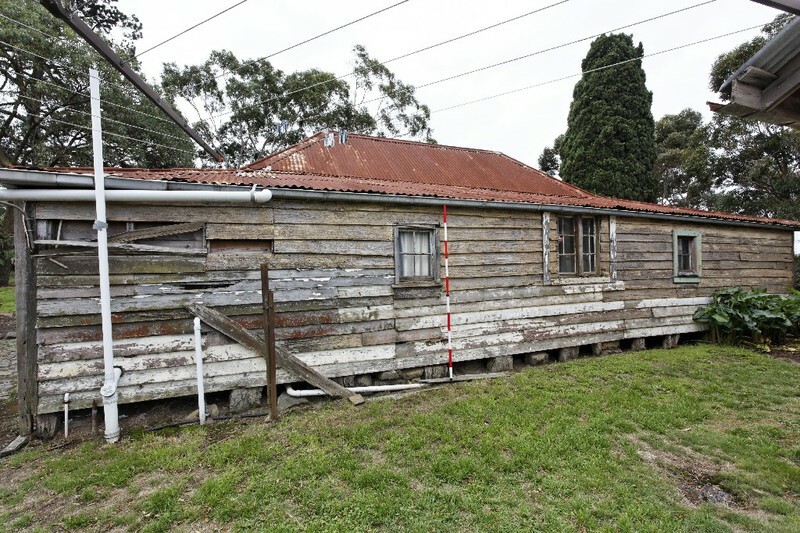 Built in the mid to late 1850s, this is a rare surviving example of a vernacular timber farmhouse with a detached kitchen and demonstrates early construction techniques. It is one of the oldest houses in the area. 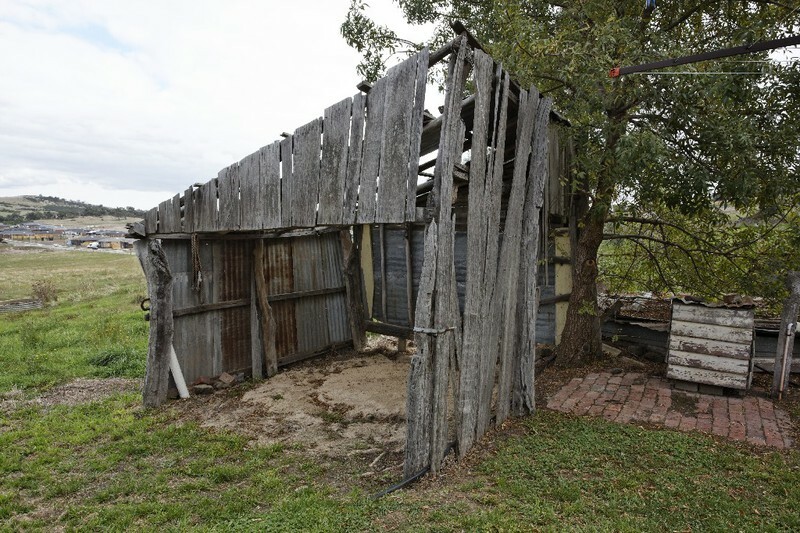 Fashoda is associated with the small farming settlements which were established from the earliest days of settlement in the Plenty Valley north of Melbourne, among the first of the Port Phillip districts to be settled. The land in this area, being close both to Melbourne and the Sydney Road, was some of the first outside Melbourne to be closely subdivided and sold, and by the 1850s had become a major food-producing area and was used for farming, particularly for dairying, up to the late twentieth century. Although the exact date of construction is uncertain Fashoda is one of the oldest remaining homesteads in the area, and demonstrates the way of life in these farming communities during the nineteenth century and much of the twentieth century. The detached kitchen is historically significant as a rare surviving example of its kind. Detached kitchens were common in nineteenth century houses as a means of minimising the risk of fire, keeping the house cool, and in houses where servants were employed were a means of separating them from the family. Fashoda is architecturally significant as an extremely rare surviving example of a mid nineteenth century farmhouse with a detached kitchen, which demonstrate contemporary vernacular timber construction materials and methods. 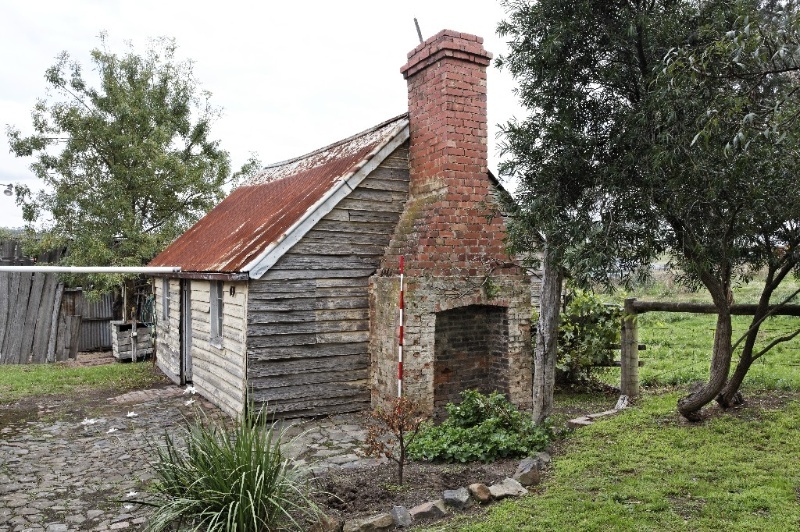 Some primitive aspects of the kitchen building, including the large unshaped tree trunk posts and use of split weatherboards, suggests that it may have been built as early as c1855, and the house is likely to have been built by 1860. The vertical boarding using imported softwood on the exterior of the house is extremely rare. Fashoda has the potential to yield further information about the way of life of its early inhabitants from the excavation of the remains of the farm buildings and the rubbish pits located around the house. General Conditions: 1. All exempted alterations are to be planned and carried out in a manner which prevents damage to the fabric of the registered place or object. General Conditions: 2. Should it become apparent during further inspection or the carrying out of works that original or previously hidden or inaccessible details of the place or object are revealed which relate to the significance of the place or object, then the exemption covering such works shall cease and Heritage Victoria shall be notified as soon as possible. Note: All archaeological places have the potential to contain significant sub-surface artefacts and other remains. In most cases it will be necessary to obtain approval from the Executive Director, Heritage Victoria before the undertaking any works that have a significant sub-surface component. General Conditions: 3. If there is a conservation policy and plan, all works shall be in accordance with it. Note:A Conservation Management Plan or a Heritage Action Plan provides guidance for the management of the heritage values associated with the site. It may not be necessary to obtain a heritage permit for certain works specified in the management plan. General Conditions: 4. Nothing in this determination prevents the Executive Director from amending or rescinding all or any of the permit exemptions. General Conditions: 5. Nothing in this determination exempts owners or their agents from the responsibility to seek relevant planning or building permits from the responsible authorities where applicable. Regular Site Maintenance : The following site maintenance works are permit exempt under section 66 of the Heritage Act 1995: a) regular site maintenance provided the works do not involve the removal or destruction of any significant above-ground features or sub-surface archaeological artefacts or deposits; b) the maintenance of an item to retain its conditions or operation without the removal of or damage to the existing fabric or the introduction of new materials; c) cleaning including the removal of surface deposits, organic growths, or graffiti by the use of low pressure water and natural detergents and mild brushing and scrubbing; d) repairs, conservation and maintenance to plaques, memorials, roads and paths, fences and gates and drainage and irrigation. e) the replacement of existing services such as cabling, plumbing, wiring and fire services that uses existing routes, conduits or voids, and does not involve damage to or the removal of significant fabric. Note: Surface patina which has developed on the fabric may be an important part of the item's significance and if so needs to be preserved during maintenance and cleaning. Note: Any new materials used for repair must not exacerbate the decay of existing fabric due to chemical incompatibility, obscure existing fabric or limit access to existing fabric for future maintenance. Repair must maximise protection and retention of fabric and include the conservation of existing details or elements. Weed and Vermin Control : The following weed and vermin control activities are permit exempt under section 66 of the Heritage Act 1995, a) Weed and vermin control activities provided the works do not involve the removal or destruction of any significant above-ground features or sub-surface archaeological artefacts or deposits; Note: Particular care must be taken with weed and vermin control works where such activities may have a detrimental affect on the significant fabric of a place. Such works may include the removal of ivy, moss or lichen from an historic structure or feature, or the removal of burrows from a site that has archaeological values. Landscape Maintenance : * The process of gardening, including mowing, hedge clipping, bedding displays, removal of dead shrubs and replanting the same species or cultivar, disease and weed control, and maintenance to care for existing plants. * Repairs, conservation, and maintenance to hard landscape elements, buildings and structures, fountains and monuments, steps, paths, paths and gutters, drainage and irrigation systems, edging, fences and gates. * Removal of dead or dangerous trees and vegetation, works to maintain fire safety and to conserve significant buildings and structures and emergency works, provided a report is submitted to the Executive Director within 21 days. * Replanting the same plant species which conserves the significant landscape character and values including specimen trees, avenues, rows, shrubberies, flower beds, and lawns, provided a list and plan is submitted to the Executive Director for approval. * Management of trees in accordance with Australian Standard; Pruning of Amenity Trees AS 4373-1996. * Management of trees in accordance with Australian Standard; Protection of Trees on Development Sites AS 4970-2009 * Subsurface works involving the installation, removal or replacement of watering and drainage systems or services, outside the canopy edge of significant trees in accordance with .AS4970 and on the condition that works do not impact on archaeological features or deposits. * Removal of plants listed as noxious weeds in the Catchment and Land Protection Act 1994 * Vegetation protection and management of the possum and rabbit population. * Repainting the same colour of previously painted surfaces Public Safety and Security : The following public safety and security activities are permit exempt under section 66 of the Heritage Act 1995, a) public safety and security activities provided the works do not involve the removal or destruction of any significant above-ground structures or sub-surface archaeological artefacts or deposits; b) the erection of temporary security fencing, scaffolding, hoardings or surveillance systems to prevent unauthorised access or secure public safety which will not adversely affect significant fabric of the place including archaeological features; c) development including emergency stabilisation necessary to secure safety where a site feature has been irreparably damaged or destabilised and represents a safety risk to its users or the public. Note: Urgent or emergency site works are to be undertaken by an appropriately qualified specialist such as a structural engineer, or other heritage professional. Minor Works : Note: Any Minor Works that in the opinion of the Executive Director will not adversely affect the heritage significance of the place may be exempt from the permit requirements of the Heritage Act. A person proposing to undertake minor works must submit a proposal to the Executive Director. If the Executive Director is satisfied that the proposed works will not adversely affect the heritage values of the site, the applicant may be exempted from the requirement to obtain a heritage permit. If an applicant is uncertain whether a heritage permit is required, it is recommended that the permits co-ordinator be contacted. The purpose of the Permit Policy is to assist when considering or making decisions regarding works to the place. It is recommended that any proposed works be discussed with an officer of Heritage Victoria prior to making a permit application. Discussing any proposed works will assist in answering any questions the owner may have and aid any decisions regarding works to the place. The 2012 Conservation Management Plan by Context will assist with the future management of the cultural significance of the place. The significance of the place lies in its rarity and intactness as a very early and intact example of a vernacular timber country farmhouse. The building to the west of the house is thought to have been built in the mid-1850s and used as a detached kitchen after the construction of the house, and is now a rare example of its kind. All of the registered building is integral to the significance of the place and any external or internal alterations are subject to permit application. The extent of registration protects the whole site. The addition of new buildings to the site may impact upon the cultural heritage significance of the place and requires a permit. The purpose of this requirement is not to prevent any further development on this site, but to enable control of possible adverse impacts on heritage significance during that process.